Another excavation, another happy discovery. 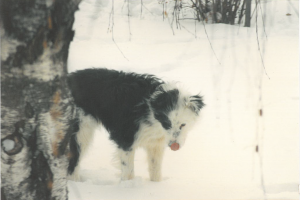 This time it’s pictures of my dog, Bud, whom I got from the SPCA only a few months after moving in. 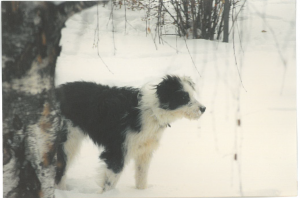 Here he is at my parents’ place in February of 1993. 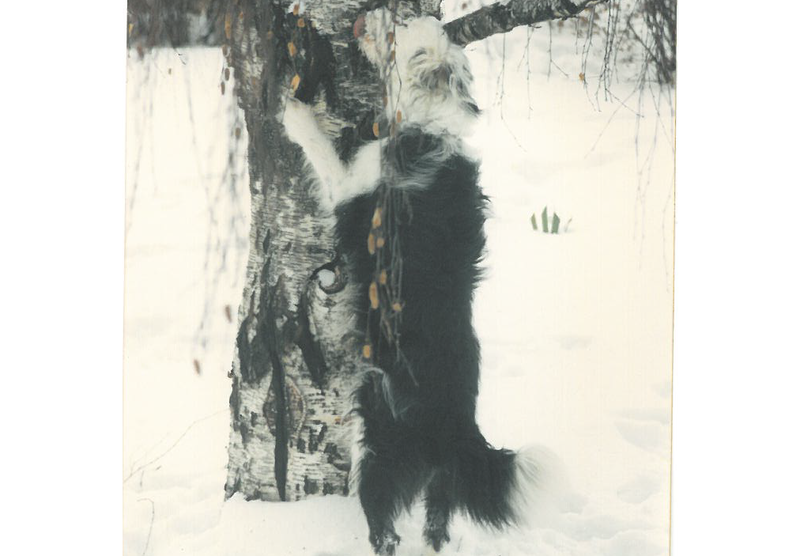 They used to put peanut butter on the trunk of their weeping birch for the birds, but they hadn’t quite calculated on the sneakiness of a certain Airedale / Border Collie cross….